The Center for Health Law and Policy Innovation team presented a half-day Policy Advocacy Workshop at the Bristol-Myers Squibb Foundation’s Together on Diabetes™ Summit. Three Harvard Law School students reflect on the day and the important work performed by the attendees as they sought to refine and develop implementation plans for their policy goals. 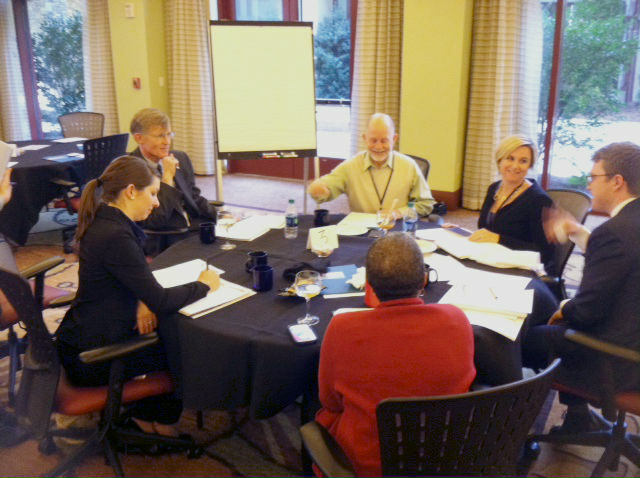 ATLANTA, GA: On February 23rd, the Harvard Law School Center for Health Law and Policy Innovation (CHLPI) hosted a policy advocacy workshop in advance of the Together on Diabetes™ 2015 Grantee Summit. 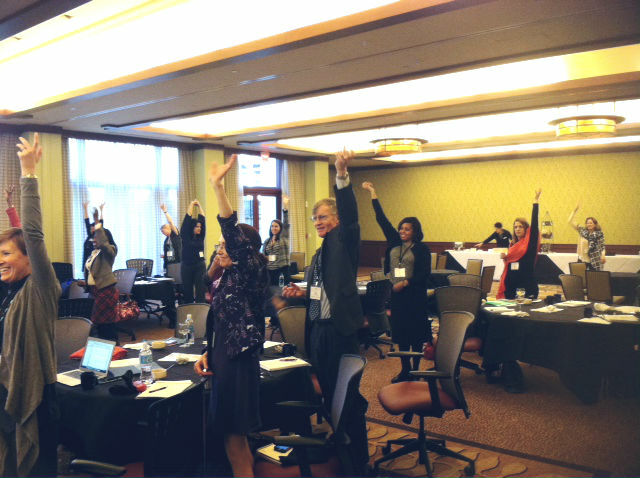 The Summit convened Bristol-Myers Squibb Foundation grantees from across the nation to discuss health equity and the patient experience for people living with diabetes. CHLPI and its Providing Access to Healthy Solutions (PATHS) project were among those funded through Together on Diabetes™, a philanthropic program of the Bristol-Myers Squibb Foundation that seeks to promote health equity and improve health outcomes. The purpose of the Pre-Summit Workshop was to help attendees establish and refine the policy goals that will make the interventions and services tested in their innovative research both scalable and sustainably funded in the long-term. In setting the table for future action, CHLPI presenters instructed attendees about the development and mechanisms of policy action and advocacy. In her opening remarks, CHLPI Clinical Instructor Sarah Downer emphasized that “policy is the legal and regulatory framework” within which the attendees work. Downer then reminded the room that “it’s important to remember that we can reform” this framework. CHLPI aimed to empower attendees to use policy advocacy in an effective way to help move their own organization’s policy goals forward. Presenters first provided an overview of the levels of government policy-making, including federal, state, and local. Two grantee organizations then told their own success stories of policy changes. Finally, the grantees gathered in small groups to articulate their policy goals and strategize potential pathways for policy advocacy. Clinical Fellow Katie Garfield opened the Workshop with a presentation on building effective advocacy strategies. According to Garfield, policies and programs are two concepts that often get confused. Garfield refined the distinction between the terms. She outlined that “programs” promote a specific activity, while “policies” are generally broader and more sustainable because they set up a framework that can continue supporting a specific activity or range of activities over time. In the Workshop, CHLPI presenters invited attendees to envision policy advocacy as a three-fold process. First, advocates should assess potential policy goals for impact and attainability. Second, advocates can identify who will be both influential and supportive in accomplishing each policy goal. Third, advocates and their partners can collaborate to develop and implement an advocacy strategy for achieving each goal. Following Garfield’s remarks, two Together on Diabetes™ grantees presented case studies on policy reform, featuring Dr. Richard Crespo of Marshall University and Manuela McDonough of the National Council of La Raza (NCLR). Dr. Crespo, a professor of community health, focuses on diabetes health promotion in the Appalachian region. He spoke of creating diabetes coalitions and advocating for preventive health policy changes in local areas across the region. Notably, Dr. Crespo talked of some the coalitions’ success with farm-to-school programs and how the Food Law and Policy Clinic (FLPC) (a division of CHLPI) and its students had provided advocacy guidance throughout the process. The FLPC students provided the analysis that his advocacy teams brought to local policy-makers. These students empowered advocates, who then reached out to local decision-makers and improved outcomes for those with diabetes in many rural communities. Manuela McDonough of NCLR spoke of policy advocacy for Latino health. McDonough noted that Latino communities have disproportionally high rates of diabetes. With a Together on Diabetes™ grant, NCLR has launched a Compañeros en Salud program, a peer support initiative to encourage diabetes-related goal setting and self-management of the chronic disease. Together with Peers for Progress and other partners, NCLR’s culturally-competent peer support program has reached over 4,000 clients in Chicago. To advance NCLR’s broader policy goal of achieving recognition and sustainable funding for peer supporters (also known as Community Health Workers) to be permanent members of health care teams, McDonough described how NCLR and Peers for Progress used the success of the Compañeros en Salud program to convene a broad coalition of experts in chronic disease, staff from relevant government agencies, and leaders of community health worker networks. This coalition drafted a Call to Action targeted at policymakers, asking them to support development of state-level recognition or certification regimes for Community Health Workers. Following the presentations, the attendees were broken into small groups to discuss policy advocacy. The small group breakout session was designed to help participants refine and prioritize policy goals and begin initial steps to establish policy action plans. CHLPI faculty and students facilitated the small group conversations. Participants were asked to articulate a policy goal and help others to examine the attainability and impact of their policy goals. Importantly, CHLPI facilitators assisted discussants to frame their policy goals in terms of the benefit of the goal balanced with the organization’s available budget, technical capacity, and administrative experience. To improve potential effectiveness, CHLPI encouraged attendees to think of leveraging the resources of partners to create efficiencies in the policy advocacy process. 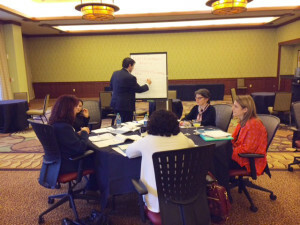 The small groups were the centerpiece of the Workshop. Small group participants worked to identify their organization’s policy goal while other group members contributed ideas to help sharpen and refine the goal under discussion. After each individual established a policy goal, the small group worked collectively to brainstorm strategies for implementing the goal, forming an action plan. This process included targeting prominent stakeholders, considering practical and financial barriers to change, and finding potential partnership opportunities. Though the groups had distinct policy goals and faced region-specific challenges, common threads emerged. Groups noted the importance of engaging local communities and forging partnerships with other groups with similar interests. At the conclusion of discussion, the small groups presented their ideas to the attendees and reflected on the evolution of the group’s dialogue. In advance of the Together on Diabetes™ Grantee Summit, the PATHS Workshop armed attendees with an overview of the policy advocacy process and tools they could use to accomplish their policy goals. As Sarah Downer noted in wrapping up the day, the attendees were “a natural coalition of partners” who could work together to transform ideas into actionable goals and identify concrete steps toward improving the lives of those with diabetes in communities across the country. CHLPI is available to continue to support these organizations. As CHLPI clinical students, we appreciated the opportunity to get involved. We’re excited to move forward supporting these organizations in their important work to advance public health. As the Summit emphasized, we’re all in the fight against diabetes together!